Most of us gauge our internet speed based on the number of times a stream freezes during a binge-watching session. Earlier this week, Netflix launched a website, Fast.com, to make it even simpler to test your download speeds. On top of having a domain name that's easy to remember, Fast.com is also incredibly easy to use. The site automatically calculates the current speed of your internet service provider in seconds using Netflix servers. 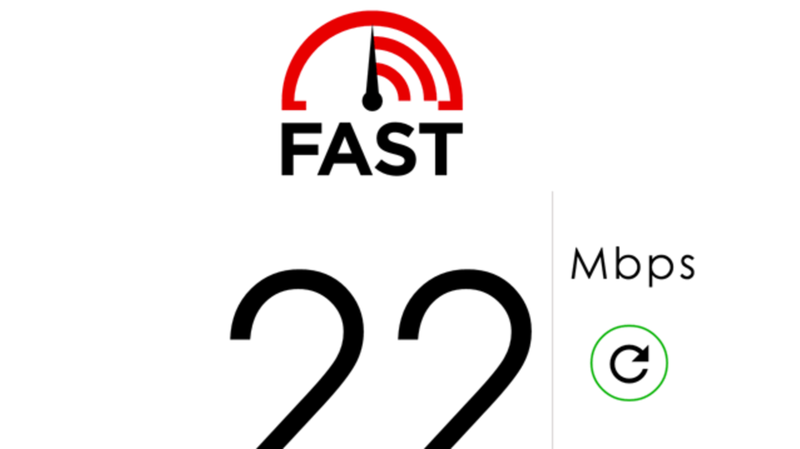 Netflix already has an ISP Speed Index that anyone can use to check the average monthly speeds of Netflix streams in their part of the world. But connection speeds are constantly fluctuating based on factors like network and ISP (internet service provider) congestion. Fast.com measures web speeds at any given time to show visitors the most up-to-date readings possible. Download speeds can make or break a Netflix-fueled movie night. The multi-billion dollar streaming service is aware of this, but most of the time a spotty stream is the fault of an ISP they have no control over. Their new web speed test is an effort to keep service providers honest about the performance they're promising. If the test shows slower speeds than what's being paid for, Netflix encourages users to talk to their ISP about the results. You don't have to be a Netflix member to use their new website. Anyone can visit Fast.com from any part of the world on their smartphone or desktop.